We've got 112 million reasons to celebrate today! We’ve got 112 million reasons to celebrate today! Home > Blog > We’ve got 112 million reasons to celebrate today! From one employee to 2 billion. Ten years ago, Steve Shelley and I founded Deputy with a single mission: to improve the working lives of business owners and their employees. We had identified a problem in Steve’s aviation business and built Deputy to fix it. In hindsight, we were naive to think that those problems were unique to Steve’s businesses only. We quickly realised that businesses small and large, from global retailers to your local coffee shop, were crying out for tools to take the trials and tribulations that come with employee management and simplify them through technology. 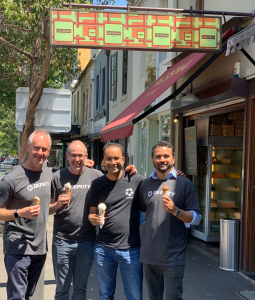 Over 90,000 businesses are now powered by Deputy – whether their business is renting designer clothing in Sydney, running escape rooms in Utah, serving coffee in Cape Town, or providing hospice care in London. We’re serving customers in over 80 countries, from coffee roasters in Honduras, to those chasing the Northern Lights at the edge of the North Pole! 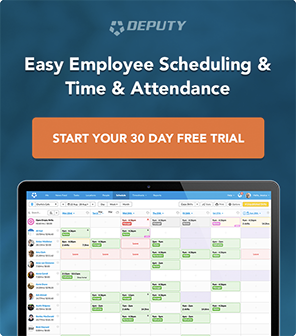 Over 1.5 million people have worked using Deputy. We’ve rostered over 200 million shifts, which means we’ve clocked 1.2 billion hours of work on Deputy, and facilitated over $30 billion in payroll. 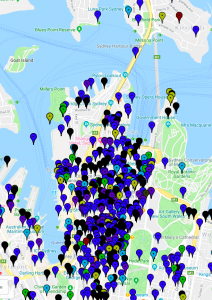 It’s perhaps no surprise then, that in Sydney’s CBD alone you’re never more than 50 metres away from a Deputy-powered business. And now, 112 million reasons to celebrate! With 2.2 billion hourly paid workers globally and a $100 billion marketplace ripe for disruption, our initial mission has rapidly evolved into an ambitious, global vision: empower every hourly paid worker to do the work they want to do, while helping owners to better run their business. 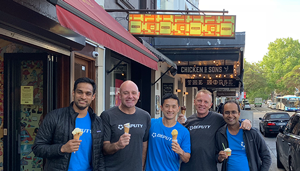 While we’ve already been feverishly executing on this, today we took a huge leap forward toward achieving that vision: Myself, Steve and the rest of our team at Deputy are elated to announce that Deputy has just received a whopping investment of USD$81 million (AUD$112 million!) in Series B funding, led by renowned Silicon Valley VC IVP, followed by OpenView (our Series A investor), Square Peg Capital and EVP. IVP is a well established VC firm who has invested in some of the technologies that have defined technological trends of today and are defining our future — from Uber and Netflix to ZipRecruiter, MindBody, Dropbox, and Slack. IVP’s track record of helping entrepreneurs fulfilling their vision is phenomenal. We’re also honored to have Australian-based venture capital firm Square Peg Capital participating in this round. 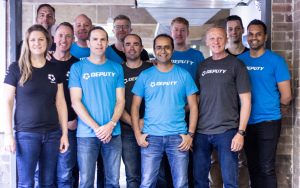 They have been instrumental to the growth and continued acceleration of the Australian startup ecosystem and we look forward to their support in helping us achieve our vision. Through our new partnership with IVP, we are pleased to announce another significant milestone, with IVP’s General Partner Eric Liaw joining the Deputy board. Eric is deeply passionate about making small businesses successful. With his own parents coming from a small business background, he is intimately familiar with the challenges they face. Eric has a tremendous track record of backing great SaaS businesses, but in my time I have not met anyone in the venture community who is as passionate about our cause as Eric is. I cannot wait to see what we can achieve together. Thank you, and welcome Eric! What this means for Deputy. Everything we do at Deputy, is geared towards saving our customers time and money. This year we released a number of milestone features, like Auto-Scheduling, that have enabled managers to reduce their time spent on scheduling while optimizing labor spending. With this funding we will double down on developing even more features that will continue to optimise and transform business operations, to give back time to business owners so they can do what they value most – be it spending more time with their loved ones or focusing on growing their business. 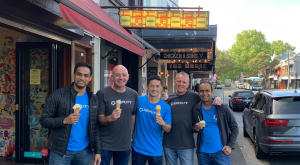 We’re going to keep rapidly building out our product and engineering teams – with over 30 new roles already open in Sydney – as well as increasing our headcount globally across all functions. We need passionate people who wake up every morning to make a difference in this world. Since we closed our Series A, I have been busy building out our world class Executive Team, all of whom are renowned leaders in their respective functions (although we’re still on the hunt for our CMO, GM of the Americas and a Chief Customer Success Officer). Now it’s time to help them build out exceptional teams underneath them. To our second goal: while the reach of Deputy is impressive, in the context of 2.2 billion hourly paid workers around the world, there’s still far too many people that don’t yet know that we exist! We’re going to be increasing our focus on how we’re getting Deputy in front of the people that need it the most. The answer to this doesn’t lie in sinking truckloads of money into TV and media ads, but rather through the continuous improvement of our product and its accessibility, to expedite our already rapid growth through word of mouth referrals. People use Deputy because it adds value to their business, not because we sell it to them. Our vision? We’re going to change the future of work. We just celebrated our 10th Birthday at Deputy. 10 years is a long time but in the grand scheme of all that we want to achieve, we are not even at the starting line! The world of work is changing. The world is transforming into a world ‘instant gratification’. We want what we want, when we want, where we want. And that applies to ‘work’ too. If we don’t adapt to change with this trend, if we don’t recognize it, we will be left behind. The businesses of today will cease to exist! At Deputy, we are working hard on how deliver in the ever changing world. There is a ‘past’/’old world’ we have to reform. But we must not take our eye off what is just behind fast approaching horizon. Deputy will disrupt the zero-sum-game of employment. We will drive a better world where everyone will bring the best version of themselves to work everyday, enabling businesses to thrive. 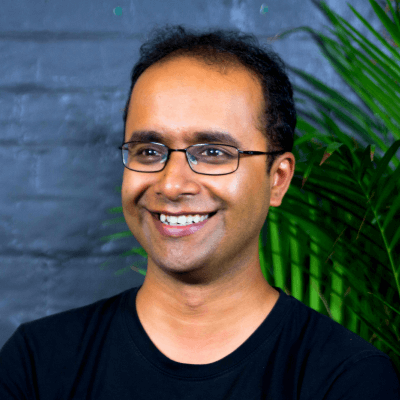 Ashik Ahmed Ashik is the Co-Founder and CEO/CTO at Deputy. He spends most of his time thinking crazy things about Deputy and how it will change the world.